It is no surprise that a city steeped in musical culture, should offer such a wide array of live music venues. Amsterdam has always been a popular destination for some of the world’s biggest bands and live acts, but the city also offers new artists and performers the chance to show-case their work. As you walk the city streets at nights, every turn of a corner will bring the drifting strains of musical notes, in many forms – the gentle chord progressions of an acoustic guitar, the mellow jazz harmonies of a saxophone, or the thumping bass beat of a rock band. From quiet piano bars to large stadia hosting International stars, Amsterdam will provide entertainment to match your every mood. If the electric energy of a large-scale concert is what you are looking for, then Amsterdam has three major arenas to choose from. The Ziggo Dome opened in 2012, has a capacity of 70,000, and has hosted such stars as Madonna, Lady Gaga and Sting. Want bigger? The Amsterdam ArenA is not only the home-ground of Ajax football club. It also hosts major concerts and Festivals throughout the year. And we mean major! In June 2016 alone, Rihanna and Coldplay both appeared at this venue. The Heineken Music Hall is one of Amsterdams most popular music venues and has a capacity of 5550. It is the smallest of the major venues but still hosts bands such as Status Quo and Little Mix. It’s charm is that it enables you to experience the music close up, while creating the atmosphere of a stadium experience. If you are looking for a more intimate musical evening, why not try one of the many local live music bars. 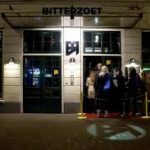 Half the fun of exploring a new city can be wandering the streets and discovering a little back-street gem that only the locals know about, but so many of Amsterdam’s bars and clubs have live entertainment, that the choices can often be overwhelming, so we have picked a few hot-spots to help you decide on the best venue for your night out on the town. Bourbon Street is a popular venue for locals and visitors and has live music seven nights a week. This former blues club answered the demand for a cozy, yet classy venue back in 1990. It wouldn’t take long before locals, tourists, students and musicians found their way to the Leidsekruisstraat. 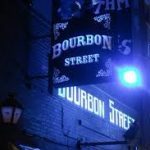 A few years ago, Bourbon Street decided to branch out into other styles of music, making it the place to be for live music of nearly any genre. Their program consists of rock, soul, funk, reggae, folk, blues and anything in between. Every night of the week, you can find touring international artists, high-level cover bands or upcoming local acts on its intimate stage. 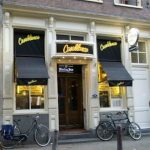 The Cafe Casablanca is the oldest and most famous jazz bar in Amsterdam. Today it offers not only live music but is also the most popular karaoke bar in town. 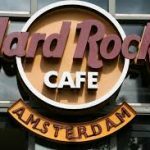 Enjoy the legendary flavors of classic American dining in an energetic, modern setting right on the waterside at Hard Rock Cafe Amsterdam. We’re located on Max Euweplein, just a two minute walk from the Leidseplein entertainment area. We’re just steps away from the Paradiso live music venue, the Holland Casino, Rijks Museum, Van Gogh Museum, Heineken Experience and plenty of other stellar attractions. Our restaurant is not only the perfect spot to kick off any day or night, but we are also a museum of pop culture with authentic memorabilia from rock ‘n’ roll legends like Jimi Hendrix, Elvis Presley, and the Rolling Stones. 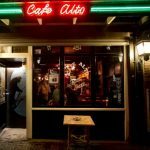 With live music, seven days a week, until the early hours, Café Alto is a popular music venue, that hosts experienced musicians and young, up-coming talent. Located in the city centre it is a popular music venue that prides itself on providing live music every single night of the year, without fail. 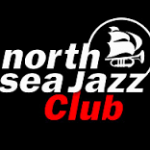 The North Sea Jazz Club offers live jazz, funk, soul and world music every weekend, as well as providing three course meals, before and during performances. 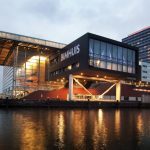 Founding member of the Europe Jazz Network, the Bimhuis hosts over 300 concerts a year, including Jazz, world and improvised music. It sprogramme focuses mainly on new development but it also features more mainstream, established artists and sounds. 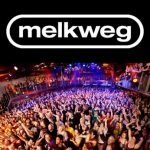 The Melkweg is an all-round entertainment venue hosting a theatre, cinema, café and two large halls that house a varied entertainment programme. The venue stands on the site of a former milk factory and is the perfect example of an historical building being given a new lease of life. Well worth a visit, whatever your taste in entertainment. Amsterdam’s most famous pop music dance club is also a venue for folk, soul, reggae and blues music. Because of its diverse programme of events, people from all walks of life can be found enjoying the Paradiso experience. Also a major venue for Festivals, check out its event listings for up to date information. Below is a list of external links to live music and concert hall venues, click on the logo to go direct to their What’s On Guide.